To keep your truck running right, you need to treat it right! With routine checks, Preventative maintenance and simple replacements, You can really help prolong your truck’s life and performance. And dont rely on hearsay from other truck drivers regarding equipment and repairs. Always consult one of our professional staff before acting on any friendly advice – it can save you time, Expense and problems down the road. 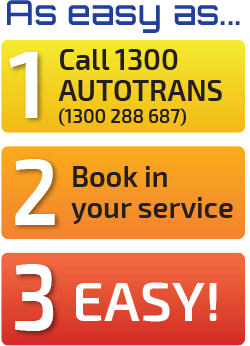 1300 AUTOTRANS provides a comprehensive service for all small and medium vehicle manual gearboxes automatics transmissions, differentials and tailshafts. Specialising in Driveline components, we pride ourselves with professional services that we offer with our unmistakable personal touch that 1300AUTOTRANS gives our clients an even greater confidence in our work. Volvo, Mack, Mercedes, Iveco, Scania, Ford, UD Nissan, Hino, Mazda, Mitubishi, and Isuzu are some of the Brands we can cater for. Why are reconditioned driveline components from 1300AUTOTRANS the best value in Australia? all their own reconditioning by fully trained staff, guaranteeing quality. Have all testing facilities including the latest diagnostic equipment, guaranteeing reliability. Give fixed quotations without hidden costs, providing peace of mind. Replace ALL Friction Plates, Ball/Needle/Thrust Bearings, Gaskets and Seals. Value for money! Carry a range of changeover transmissions for popular models. Limited downtime! Are experienced reconditioners of both On Highway and Off Highway Allison Transmissions, offering complete coverage and servicing all needs. All work is covered by warranty.